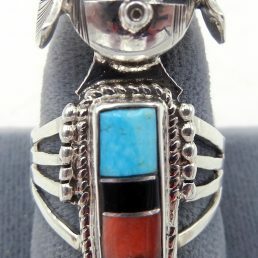 The turquoise stone ring is an iconic piece of Native American Indian jewelry. Handcrafted by Southwest tribes and Pueblos – including the Navajo, Zuni and Santo Domingo – jewelry pieces containing turquoise gems are cherished around the world for their beauty and grace. 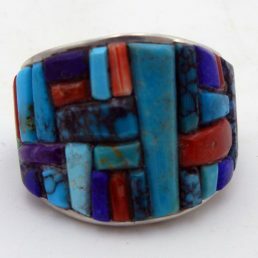 Palms Trading Company is pleased to offer our customers a wide selection of stunning Native American turquoise rings at reasonable prices. From ancient cultures to modern times, the beliefs associated with turquoise have made it one of the most coveted stones. In fact, the turquoise stone holds a wealth of meaning for cultures around the world. 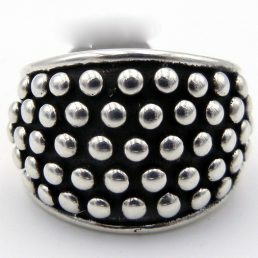 In Central and South America, it is a symbol of authority. 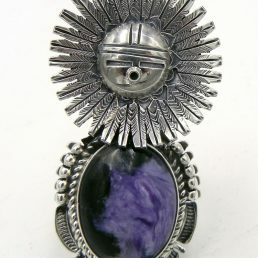 To the Native American Indians of North America, it represents wealth and brings happiness, healing and good fortune. Thought to possess energetic and healing powers, turquoise is said to encourage serenity, intuition, creativity, empathy, and sensitivity. 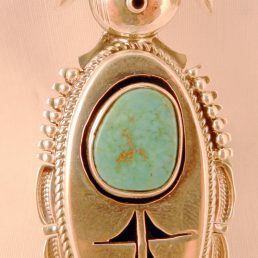 Turquoise is heavily featured in Native American jewelry. From the turquoise stone ring to the famous squash blossom necklace, the color variations of each unique gem have captivated the attention of men and women for hundreds of years. 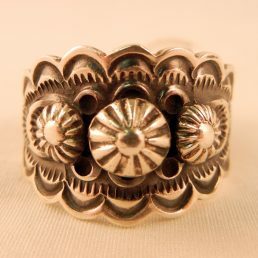 Each work of art is created with the materials, techniques and styles that have been passed down through generations of Pueblo and Navajo families. Our selection of rings showcases these turquoise gemstones set in sterling silver bezels. 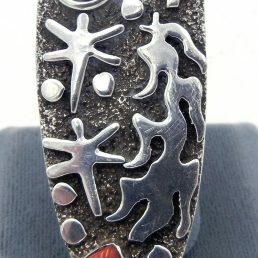 Arranged in multi-stone patterns with fine needlepoint or inlay design, each ring expresses the creativity and heritage of the individual artist. 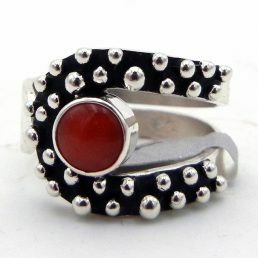 A turquoise stone ring is a subtle way to introduce the spirit of the Southwest to your personal style. Jewelry admirers of every style will appreciate the intricate detail, vibrant colors and powerful symbolism of our turquoise rings. 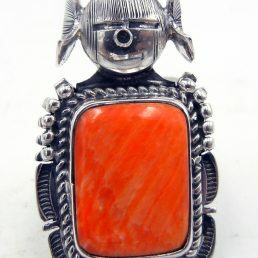 Add a touch of elegant turquoise to your life with a piece of authentic Pueblo or Navajo jewelry. 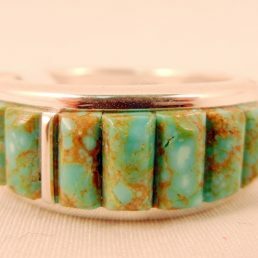 Find the perfect turquoise stone ring and other one-of-a-kind treasures at Albuquerque’s world-famous dealer of Native American jewelry, Palms Trading Company.